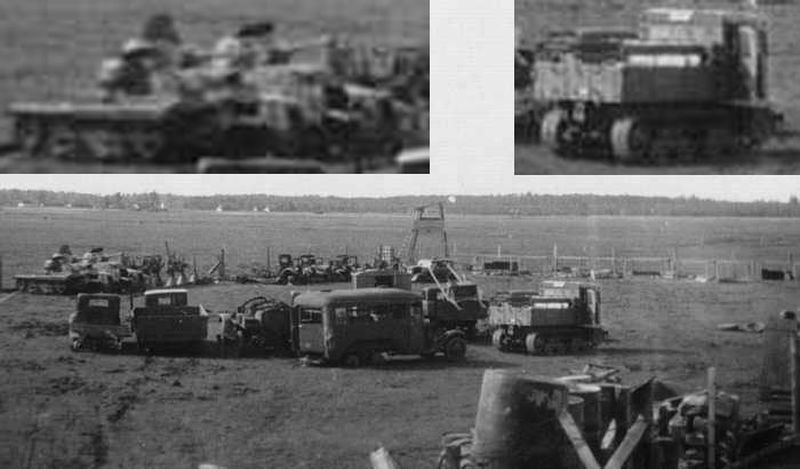 Different captured machinery used for servicing and defence Luftwaffe airfield. On the left two camoflaged BA-10 and T-37A. 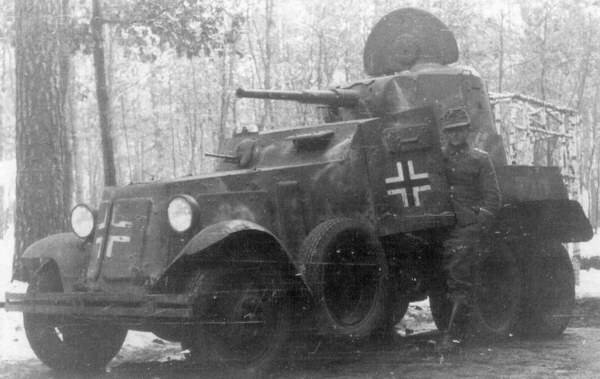 Ba-10 probably in Volhov sity. 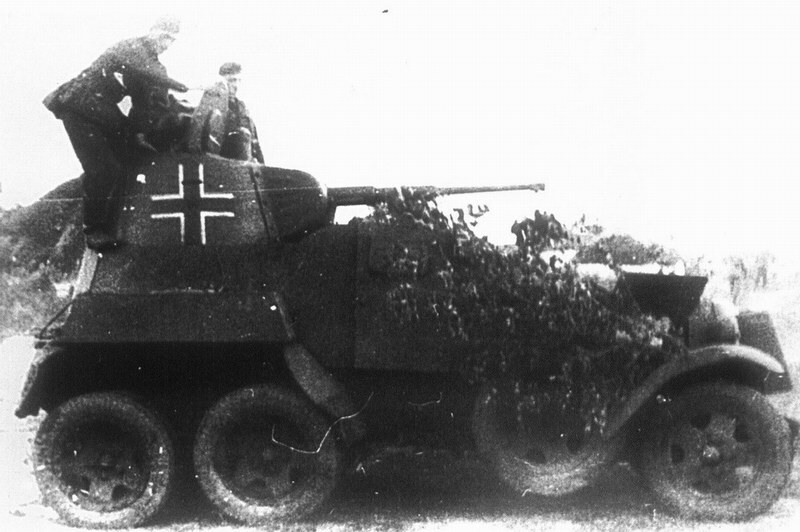 Ba-203 (r) from 14 Pz Div, 1941. 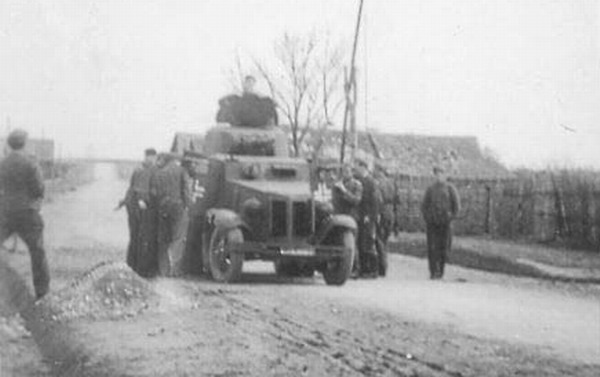 Ba-10 in Poland, Poniatowa, begin 1944. 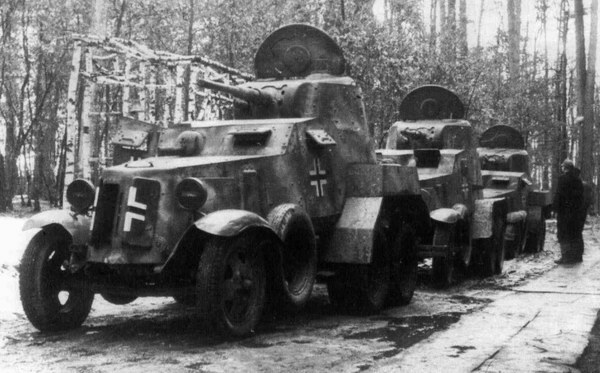 These armored cars belong 5 Polizei Panzer Kompanie.